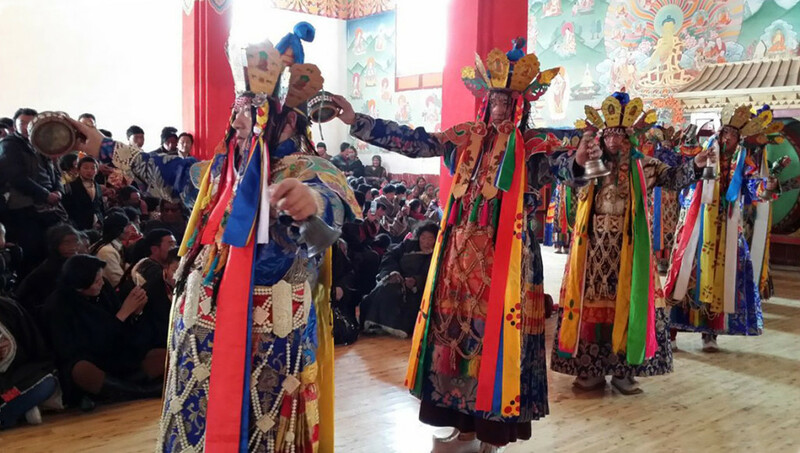 Photos from the annual Chakrasamvara Dance at Surmang Dutsi Til, performed in the weeks following the Tibetan new year. The Chakrasamvara dance is a celebratory occasion that annually gathers up to a thousand local people at Surmang to watch the festivities over three days. 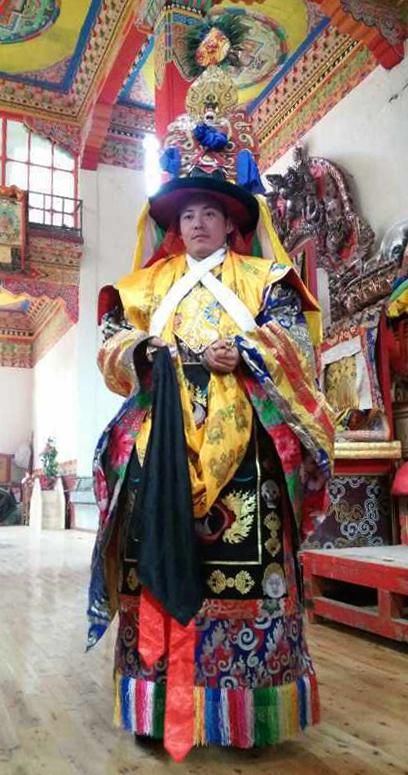 Since 2009, the Twelfth Trungpa, Chökyi Senge Rinpoche, has led off the dance, and more than forty monks participated this year in its performance. The Chakrasamvara dance is an annual tradition that goes back several hundred years to the early days of Surmang Dutsi Til. The Chakrasamvara Dance took place this year in the newly reconstructed Main Assembly Hall at Surmang. 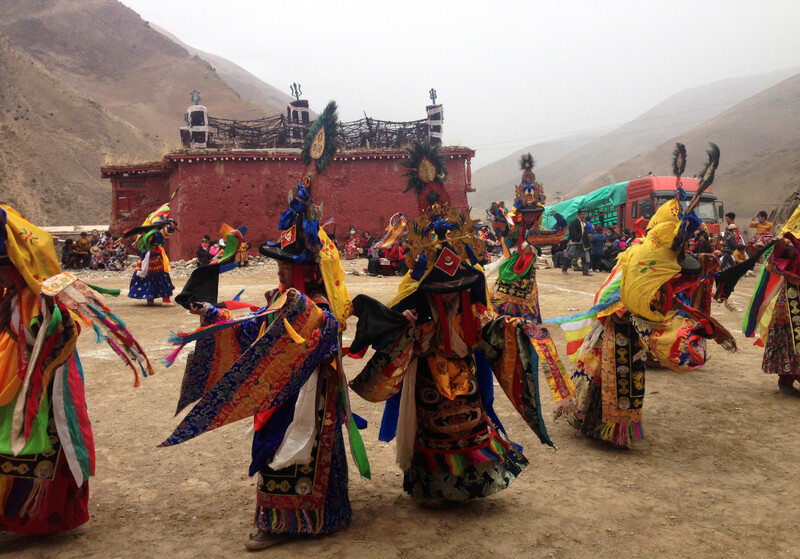 Lama dancing in the fields surrounding Surmang Dutsi Til with the Mahākāla temple behind. 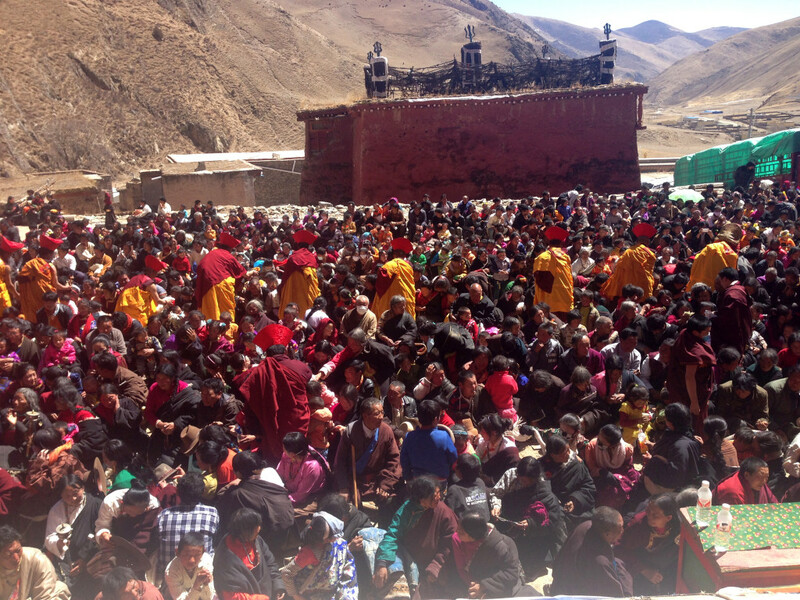 Locals from the Surmang Valley come to watch the lama dancing each year in March. The winter is a special time for practice at Surmang Dutsi Til, the monastic seat of the Trungpa Tulku lineage in eastern Tibet, particularly after Losar or the Tibetan new year. 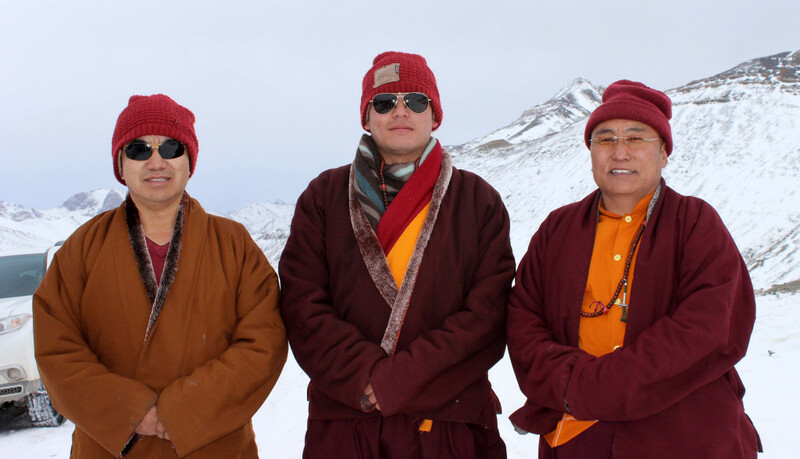 Here Surmang Khenpo, the Twelfth Trungpa, and Aten Rinpoche are enjoying the winter snow in the Surmang Valley. After the Chakrasamvara dance, practice at Surmang Dutsi Til continues with an eighteen-day intensive, referred to as a “great attainment” or drupchen. It is a closed practice. No one can either enter or leave the monastery during the drupchen. The first half is dedicated to practices from the treasure tradition of Chokgyur Lingpa and the second half entails a practice revealed as treasure (or terma) by the first Rolpe Dorje. Approximately, one hundred monks are performing the drupchen this year and also about one-hundred lay people, both women and men. After that, the next practice period in the liturgical calendar is a five day chöd practice, designed to cut through ego-clinging. 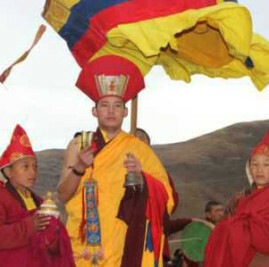 This is followed by a five day period for performing the Kagyu Gurtso or Rain of Wisdom, a collection of songs (or dohas) by the great masters of the Kagyu tradition. Previous StoryWelcome to our New Board Members Next StoryMatching Grant Goal Reached!